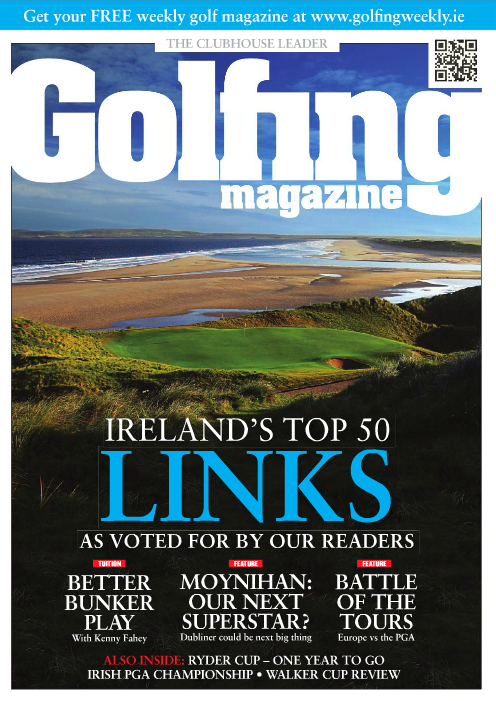 Back in August, Golfing Magazine posted a survey online asking people to rank Ireland's top 50 links golf courses. Now the results are in. You'll find them in the latest edition of the magazine and online. There's a cynic in me that says this was Golfing Magazine's way of highlighting how amateur golfers don't really have a clue about the great and the good courses of our island... leave it to the professionals it might suggest. You only have to look at the results to conclude that this is probably true. 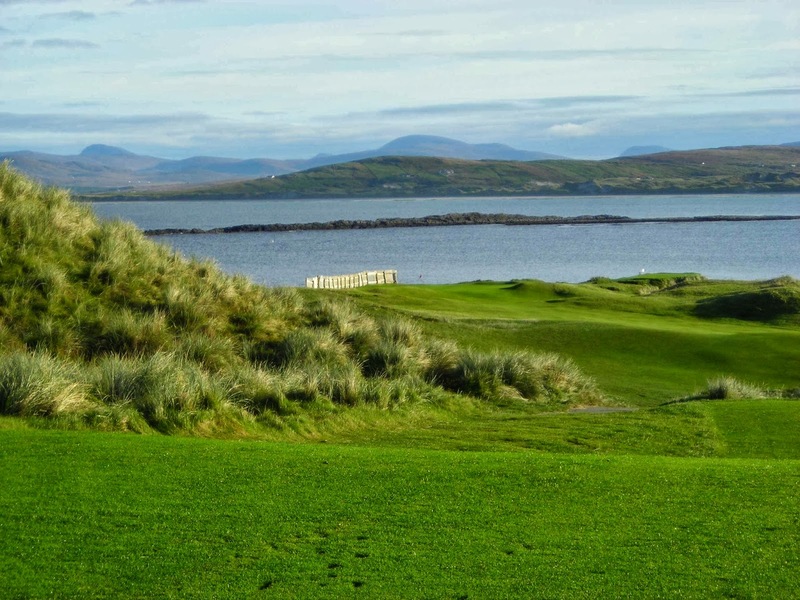 Strandhill comes in at 48th while Royal County Down - revered as one of the greatest courses on the planet - fails to make the Top Ten. Now, it is refreshing to see the common golfer given free rein in such matters, but the major issue - the major flaw - is that people were voting on courses they may not have played. 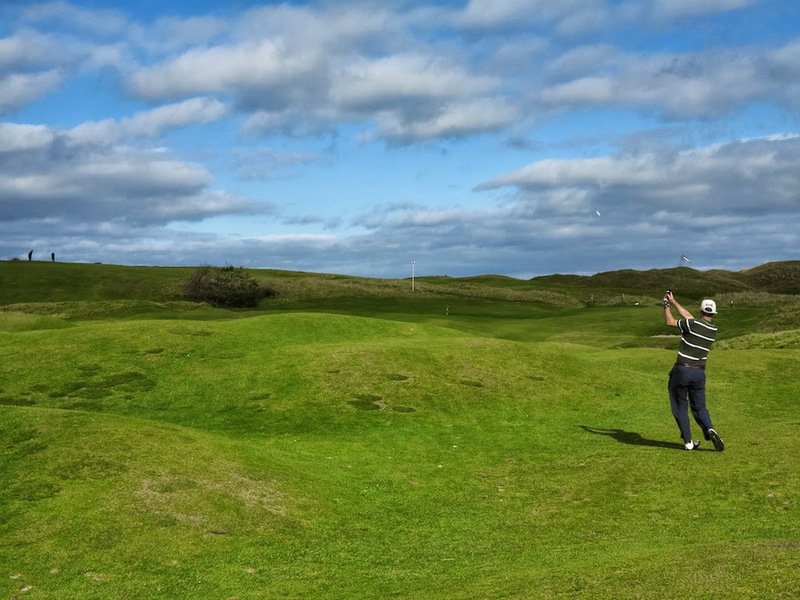 And even if someone only voted for the courses they played - let's say 20 - how badly did that affect the ranking of a course such as Royal County Down, if the Newcastle course wasn't one of those 20. If you turn to pages 68-70 of the ezine (here) you can find out how the rating system worked (I'm still trying to figure out where Club X is - I certainly never played it) and then review the rankings. I only had to get as far as 48th (Strandhill) to realise that this was not something to be taken too seriously. Arklow, Bundoran, St Anne's and Seapoint rated above Narin and Portnoo and Portsalon! 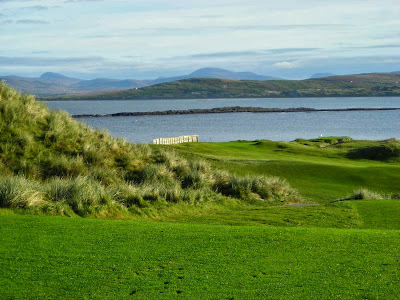 Ballyliffin (Glashedy) at 5 but Ballyliffin (Old) at 23? Cruit Island, Dunfanaghy and Mulranny (all genuine links) aren't even on the list. 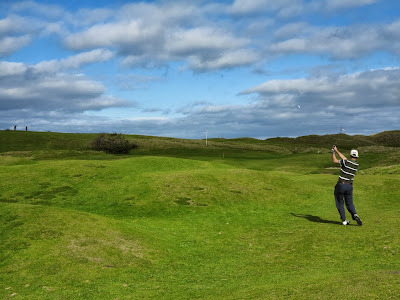 Still, it was a brave stab at doing something different and I confess to feeling a warm glow at seeing Ballybunion topple the triumvirate of Royal County Down (12th), Royal Portrush (8th) and Portmarnock (7th). Take a look and see what jumps out at you as being utterly wrong... or bizarrely right. The magazine's a good read - this month there are articles on Gavin Moynihan, Golf in Ghana (McGinley is heavily involved, as is Tom Kennedy, formerly from Mount Juliet), The Walker Cup and a review of The Island. Oh yes, and they've used one of my photographs (Narin and Portnoo above)... again... without crediting me. Strange to see the man who so comprehensively surveyed Ireland's 18-holes courses now declaring his unease at the expression of the popular will. Professionals are by no means the only legitimate opinion-formers when it comes to which course is better than another. If this is what the punters feel, well and good. For example, I played Newcastle this year and found it hugely over-rated.Let the people speak! Thanks Colm... my issue is not with 'the popular will' but with how we (I voted in it, too) were tasked with assessing the Top 50. Namely, how many of the 1500 voters have played all of those 50 courses? There was no opt-out box to say 'haven't played it'. I haven't played Rush or Sutton so I stuck those down the very bottom of my list. The magazine is about to do a similar survey on the Top 50 Parklands. That one will be a lot more interesting.